Now that the Christmas and holiday season is well and truly over, it’s likely that the recently betrothed among you are beginning to think about planning your wedding. 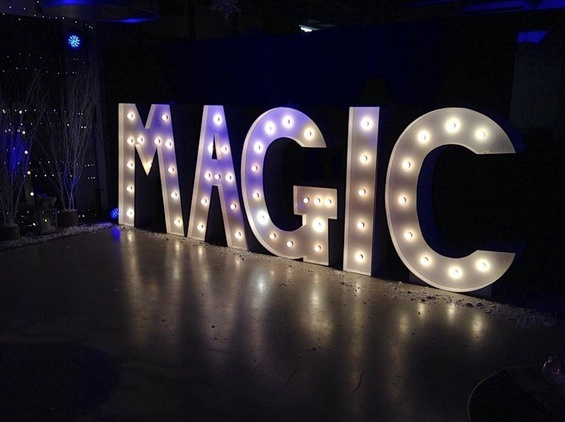 Whether you’re still in the inspiration-hunting stages or are beginning to pick the vital elements, you’ve probably come across light up letters as a way to add an extra dimension to your big day. 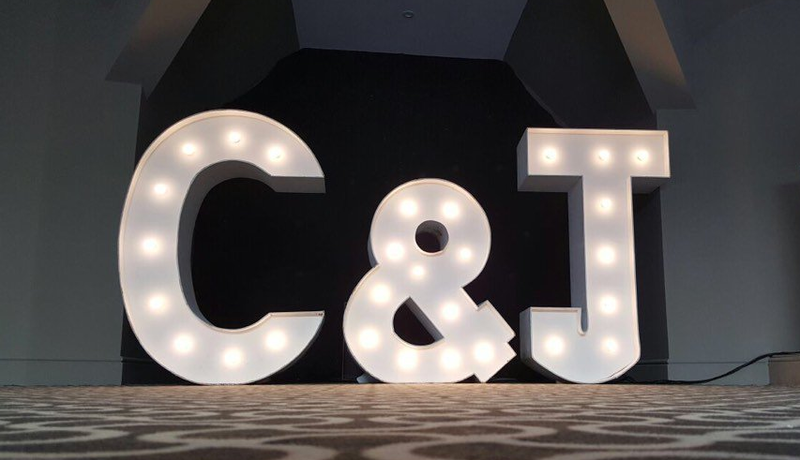 If you’re considering light up letters hire in Essex as a viable option for your wedding but aren’t sure how best to place or use them, here are a few of our suggestions on how to make your big day look spectacular! Giant light up letters are great for numerous reasons, but when you break it down to the size and aesthetics it helps you to decide on which element you want to focus on at your own wedding. 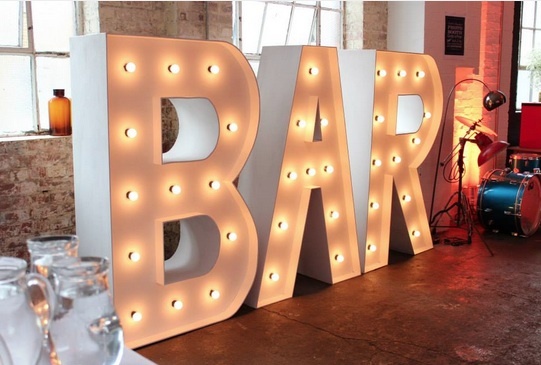 For instance, having giant light up letters are a sure way to draw attention to a certain area, so you can use them as signposts to direct your guests to where they need or want to go. A place that many guests will be searching for once the meal and speeches are over is the bar, so direct them with arrows or ‘BAR’. A beautiful way to personalise your special day is by using you and your other half’s initials side-by-side. Not only does it show that you’ve put thought into how you’ve decorated your wedding reception, it also makes a great backdrop for some gorgeous photographs of the bride, groom and guests! A wedding is a day that is filled with love and well-wishes for the future, so why not spell it out? 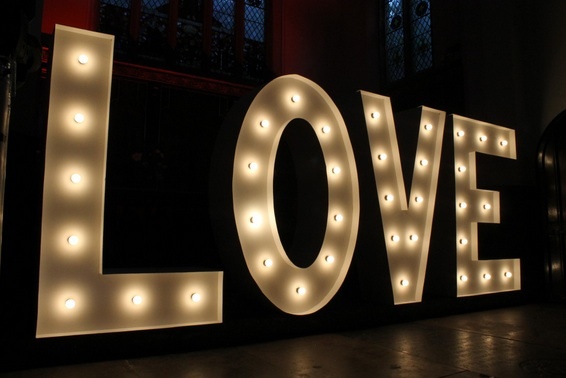 Having ‘MR & MRS’ or ‘LOVE’ in light-up letters is a sure way to create the desired atmosphere at your reception. It’s not just letters that you can choose from; there are also stars and hearts that you can dot around your venue. Having shapes rather than letters allows a bit more flexibility with where you want to place them since you can spread them around the venue more. If you already have an original idea for how you’d like to light up your big day, we can also create custom built, one off items to make sure that your wedding is precisely how you want it to be. 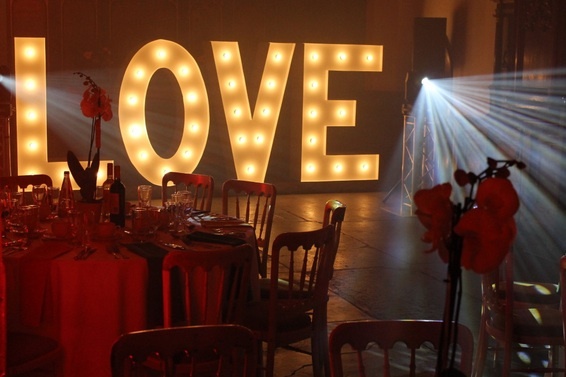 So if you’re looking to add a bit of sparkle to your big day, look no further than Monitor Lighting for your light up letters and shapes. 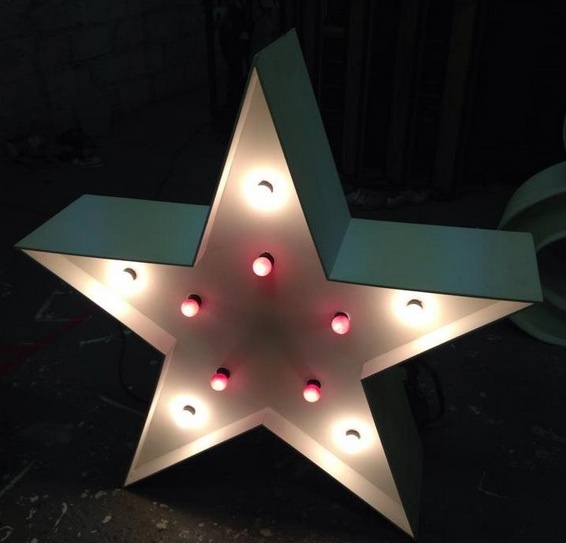 For more information about these or any of our other lighting ranges that are available for hire, please don’t hesitate to get in touch by calling 07950 729 708. You can also keep up to date with our latest news by following us on Facebook, Twitter and Google+!